Bishop Alan’s Blog: Just what was Handel on? Just what was Handel on? Out in the car yesterday, I managed to catch, by pure fluke, a repeat of the best radio programme of the year so far — a quirky Radio 4 piece by the composer Jocelyn Pook, who compoased creepy atmospheric music for Kubrick’s Eyes Wide Shut, on the word Hallelujah. She considered its origins and inherent properties as a singing word, visited Jeremy Schonfeld, a Jewish Cantor and teacher from Cambridge, who sang a beautiful inpromptu Hebrew Psalm 117, before heading out through Leonard Coehn, to the Hallelujah Chorus, both in its original form and jazzed up excellently by a Gospel Choir from Tottenham. “It means more than what you’re trying to say,” said one enthusiastic Gospel choir member. 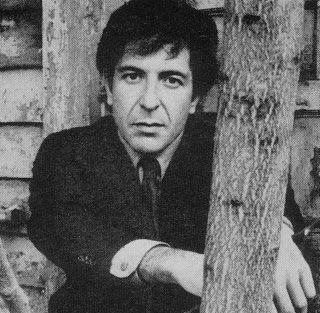 Leonard Cohen himself put in an appearance to talk about an 80’s working lunch in Paris with Bob Dylan, at which he told Dylan it had taken him two years to write ‘Hallelujah,’ although in fact, he confided to us, it had actually taken rather longer. Cohen then asked about his favourite spiritually loaded Dylan song, “I and I,” and Dylan revealed writing that had taken him... er, fifteen minutes. Don’t you just love it when that kind of thing happens to you? She also discussed Handel’s alleged religious experience whilst composing the Hallelujah Chorus, where he was found by a servant in tears, having “seen the face of God.” Anyone who can copose two and a half hours of oratorio in three weeks must be on something interesting. Whilst this was going on Pook composed for the programme a stunning atmospheric short piece of her own around the word “Hallelujah”, with strings and a female singer weaving music around the Cantor’s recitation of Psalm 117. The result, now available on iTunes, was rather magical — the kind of radio they only really do in the UK, as it is of zero commercial interest, but 100% soul food. God bless the BBC! iPlayer users can catch the programme for a week here. Marvellous! Thanks for posting this, I would have completely missed its existence otherwise. the end piece is really rather beautiful and is going on my pod as soon as I can access itunes. Sad to admit, but I didn't even realise Hallelujah had more than the usual buckley/wainwright/x-factor arrangement, so I've been educated and my life made richer. As you say, god bless aunty! I can't speak for Handel's religious experience, but he did not compose the Messiah in three weeks. Most of the musical material was recycled from prior work. I once attended a recital which included a love duet from which Handel took one of his major choruses. The effect was hilarious. The prior work cannot be heard in its original context once one has heard the Messiah version. This really was a magical piece of radio, and I hope it makes it into some permnent form. New Grove gives the dates of composition as 22 August to 14 September 1741. I gather two short solos were added for the 1743 season, but apart from that the work was completed, over two and a half hours of music, in 24 days — 3 weeks and 3 days. Jennens is said to have been mortally disappointed that Handel didn't take a year out to do a proper job. Like pretty much everything else of the period it is a massive recycling job (his works and others) and I can well imagine the comparisons would be fun if one backed up some of the sources against the finished work. I like the tasteful New Grove summary: "The greatness of Messiah, Handel's only sacred oratorio in the true sense and therefore untypical, derives on one level from its unique fusion of the traditions of Italian opera, English anthem and German passion, and on another from the coincidence of Handel's personal faith and creative genius to express, more fully than in any other work of art, the deepest aspirations of the Anglican religious spirit. It remains, nonetheless, an "entertainment" (Jennens’ word), on however lofty a level, not an act of worship." I have heard from more than one source, mostly graduate students, that Handel might well have been bi-polar, and when he was in a 'manic' phase composed vociferously. It's only a theory, I think, but could explain a lot. I have actually sung two of the duets mentioned. There were more than two, I believe. 'For unto us a child is born,' was one of the resulting choruses, and I believe 'and He shall purify,' was another.